Honda said that in some situations a part known as the ignition interlock lever could fail. 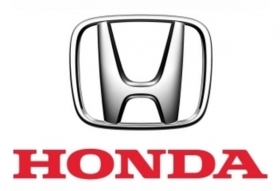 TOKYO (Bloomberg) -- Honda Motor Co. remains skeptical about demand for electric cars 10 years after it stopped selling its EV Plus battery-powered model, the head of research at Japan's second-largest carmaker said. The skepticism contrasts with an estimate by Nissan Motor Co.'s CEO Carlos Ghosn that the vehicles will make up 10 percent of the global car market by 2020. While Honda plans to sell electric cars in the U.S. to help meet California emission rules, its priority is to improve the fuel efficiency of new and upgraded models, Kawanabe said. “We are definitely conducting research on electric cars, but I can't say I can wholeheartedly recommend them,” said Kawanabe, 58, an engine specialist who replaced CEO Takanobu Ito as head of Honda R&D Co. on April 1. Nissan's Leaf electric car, which will go on sale this year in Japan and the U.S., and Mitsubishi Motors Corp.'s i-MiEV have maximum driving distances of about 100 miles (161 kilometers) on a fully-charged battery. Running the air conditioner or accelerating for long periods of time reduces the range. From model years 2012 through 2014, the largest carmakers by volume in California must sell about 60,000 plug-in hybrid vehicles and electric cars combined, according to the state Air Resources Board. Nissan's Ghosn said last week he aims to have capacity to build 500,000 electric cars a year by 2012, even as other demand estimates are lower than his. Electric vehicles will amount to no more than 1 percent of the global market by 2020, according to Menahem Anderman, president of Advanced Automotive Batteries, a consulting firm based in Oregon House, California. Honda, based in Tokyo, started researching battery cars in 1988 and leased about 320 EV Plus models in the U.S. and Japan between 1997 and 2000. The model used a nickel-metal hydride battery pack and ran 210 kilometers on a single charge. While the carmaker displayed a concept version of an electric car named EV-N at the Tokyo Motor Show in October, it is focusing on expanding its lineup of gasoline-electric hybrid models and improving its gasoline engines, according to Kawanabe. The company views hydrogen-powered fuel-cell vehicles as the ultimate zero-emission vehicle, although inadequate charging infrastructure still hampers the technology's mass-market potential, he said. While Toyota Motor Corp., the world's largest carmaker, has also tried selling electric cars, it only delivered about 1,900 electric RAV4 sport-utility vehicles between 1997 and 2003 in the U.S. and Japan. Honda, which sells the Civic and Insight hybrid models in the U.S., is considering U.S. production of hybrids to avoid the negative impact of a stronger yen against the dollar, Kawanabe said, without elaborating on timing. Core parts like batteries, invertors and motors would still be shipped from Japan, he said.